Okay, I admit it. 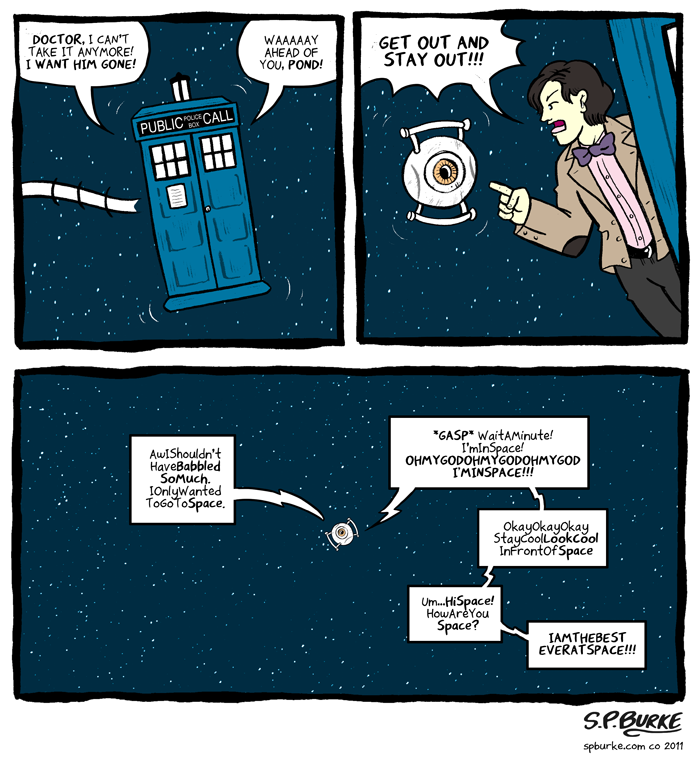 My last “Doctor Who/Portal” comic went over so well I got greedy and thought I’d do another one. At least I admit it. Anyway, hope you like it! BTW, for those who don’t get it (in fairness it IS a more obscure part of the game), let me make it clear in excruciating detail. SPACE. I AM IN YOU.